Many of the sharp cuts would likely be restored by Congress, but President Trump’s budget due out in February will mark a starting point for negotiations and offer a statement of intent and policy priorities. Spending for the Energy Department’s Office of Energy Efficiency and Renewable Energy is set at a $2.04 billion level for the current fiscal year, which ends Oct. 1. Last year the administration asked for just $636.1 million, a decline of over two-thirds, though Congress did not implement the request. For 2019, the administration’s draft proposal would lower that request even further to $575.5 million. The plan would also chop spending on more efficient building technologies and research into geothermal, hydro and wind power. Storengy - What is a drilling? KS Orka first stepped into Indonesia’s geothermal industry in 2016 by acquiring the 240 MW Sorik Marapi Geothermal Power Plant Project in Mandailing Natal, North Sumatera. KS Orka acknowledges the potential of geothermal energy in Indonesia and is fully aligned with the Indonesian government’s objectives of developing renewable energy as part of energy security program. O&M Superintendent will work closely with Power Plant Manager in managing during construction, commissioning and O&M of the power plant activities as to achieve targeted schedule in timely manner and align with HSE Compliance and government regulations. Develops and implements operating and maintenance methods and procedures designed to eliminate operating problems and improve steam field and power plant operations. An invitation to take part in a survey from the International Geothermal Association (IGA). The Geothermal Resources Council is the largest affiliate member association in the IGA. All GRC members are automatically members of the IGA. Dear participant, the International Geothermal Association (IGA) is re-branding. New Logo, new goals, ambitions and a new fantastic image! We would be very pleased if you could give us your opinion on how you see the IGA in the future and what you think we should provide for You – Our Member, Partner or Supporter. Please, take a few minutes to fill out this survey and give us your feedback. Your opinion is very important to us and don't worry, your answers will be kept confidential. Thank you for Your Time! Geothermal Engineering Ltd (GEL) has launched a Tender for Geophysical Wireline Logging and Production Logging Services for two geothermal wells at the United Downs Deep Geothermal Power project located near Redruth in Cornwall. The project is co-financed by the European Regional Development Fund and will be the first geothermal power project in the UK. The site is located at the United Downs Industrial estate, near Redruth in Cornwall. The closing date for the Tender is the 2nd of March 2018. On January 31, 2018, a Development Agreement was signed between the Italian energy firm Graziella Green Power and the global energy player ENGIE, through its subsidiaries Storengy and ENGIE Italia, starting a cooperation to realize an innovative binary cycle geothermal plant, located in Castelnuovo Val di Cecina (Tuscany Region, Italy). The project, whose main works are set to begin in 2019, consists in developing, building and operating a geothermal power plant of 5 MWe net capacity. It will be a zero-emission plant thanks to an innovative solution: after generating electric power, the previously extracted geothermal fluid will be re-injected in the same reservoir together with non-condensable gases (CO2 and others), sustaining a production cycle without atmospheric emissions. African Geothermal International Limited (AGIL) will start drilling its first exploration steam well in Longonot in June after five years of delays. 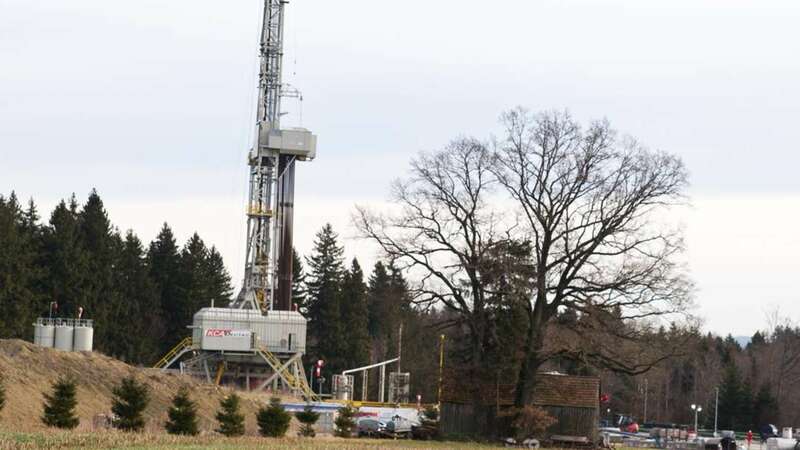 The firm said it would cost a minimum of $5 million (Sh515 million) to drill one well, the target being to sink up to 40 wells expected to generate 140 megawatts of geothermal electricity. Drilling engineers on the ground, who did not wish to be quoted, said the firm is currently laying the infrastructure such as passable roads to pave the way for the first drills in June. Canadian company Dajin Resources Corp. reports that the company has executed a Service Agreement with Welsh Hagen Associates, Inc. located in Reno, Nevada to carry out the construction of roads and drill pads in preparation for drilling at Dajin’s 100% owned, Teels Marsh Lithium brine project. Upon completion of the construction of the roads and pads Dajin will commence a four (4) hole drill program to test for the presence of Lithium-bearing aquifers to depth. A package solution is currently under consideration for the construction of a geothermal power plant in Armenia with the participation of a single investor at the Jermaghbyur and Karkar plants, Armenian Deputy Energy Minister Hayk Harutyunyan said on Tuesday during the meeting in the Ministry of Energy and Natural Resources of Armenia with the participation of the Prime Minister Karen Karapetyan. 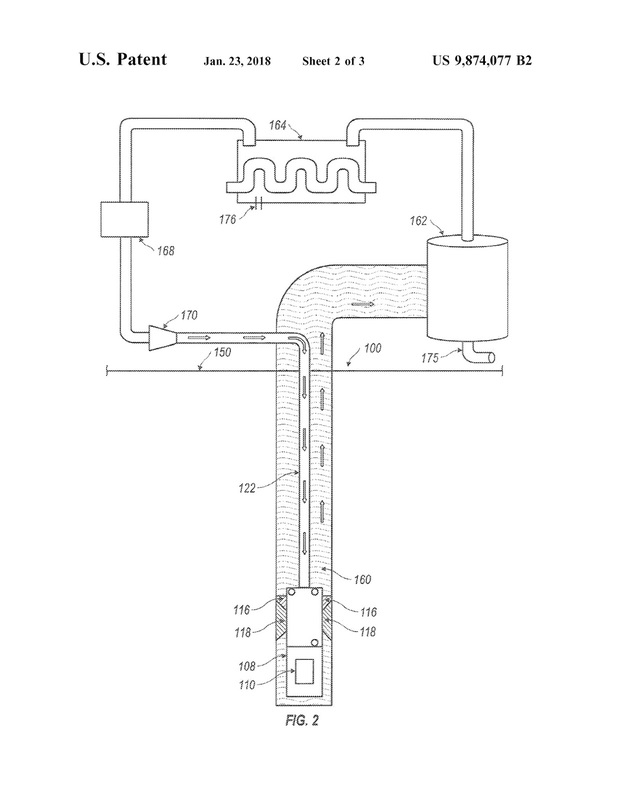 United States Patent #9,879,885 - Awarded January 30, 2018 to Mitsubishi Hitachi Power Systems, Ltd.
A preheater which is supplied with the hot water separated by the separator and which heats the heat medium, and a cooling tower which is arranged in a downstream side of the reservoir, which cools the water supplied from the reservoir, and which supplies the water as the cooling water to the condenser, wherein the geothermal water introduced from the production well is used as the cooling water, wherein the steam separated by the separator is supplied to the evaporator and is branched into streams, wherein one stream of branched steam is joined with the hot water which is introduced to the preheater, and wherein the other stream of branched steam is introduced to the reservoir. Riccardo Basosi is author, with his collaborator Mirko Bravi, of the article “Environmental impact of electricity from selected geothermal Power Plants in Italy", published in the scientific journal Journal of Cleaner Production in 2014. Since its publication, the article has attracted much attention in the scientific world and in civil society. 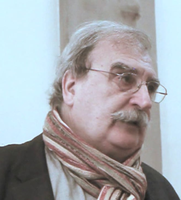 In this interview, Professor Basosi clarifies the results of his study and discuss what could be future updates on this important topic, such as the recent paper “Environmental and social aspects of geothermal energy in Italy” by Manzella et al. Nicaragua: Polaris Infrastructure Confident New Wells at San Jacinto Geothermal Project will Result in Substantial Increase in Generation. Vancouver, Canada-based Polaris Infrastructure Inc. has provided the following update with respect to the 2017/2018 San Jacinto drilling program. "We are very pleased with the preliminary findings related to our two most recent geothermal wells at the San Jacinto project," said Marc Murnaghan, Chief Executive Officer of Polaris Infrastructure. "Although the new wells have not yet achieved stabilization, we are confident that they will result in a substantial increase in average generation." Die vom italienischen Energieriesen „Enel“ geplante Anlage wird nicht gebaut, das Gelände wird renaturiert. Grund: Bei den Probebohrungen wurde zu wenig heißes Wasser gefunden, die Stromerzeugung wäre nicht rentabel. The plant planned by the Italian energy giant "Enel" will not be built and the site will be returned to nature. Reason: In the test wells too little hot water was found so the power generation would not be profitable. 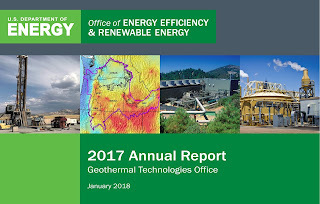 The Geothermal Technologies Office (GTO) announces the release of its 2017 Annual Report. The Annual Report recognizes advances in transformative, high-risk/high-reward science and engineering from GTO’s portfolio. The 2017 issue highlights project successes and continued efforts in all of our program areas – Enhanced Geothermal Systems (EGS), Hydrothermal, Low Temperature & Co-produced Resources, and Systems Analysis – which are flanked by useful tools, resources, and links to more information. Highlights include FORGE and EGS Collab advancements, projects reducing geothermal costs and risks, advancements in technology research and development, and the launch of GTO’s Deep Direct-Use efforts. To view the GTO 2017 Annual Report, click here or visit the GTO website. The Halo, Kilmarnock's £65 million urban regeneration programme, has been granted planning permission in principle by East Ayrshire Council. The regeneration of the former Johnnie Walker whisky bottling plant site is intended as a major shot in the arm for the economy of the town and the wider East Ayrshire economy. Councillors agreed to grant planning permission at a special meeting of the East Ayrshire Council Planning Committee. This will allow the development company Halo Kilmarnock Ltd to move to producing and submitting detailed plans for the development to the Council over the coming weeks. Use your geothermal experience to improve energy security and enable sustainable development in East New Britain. Working alongside the Mineral Resource Authority’s Geological Survey Division, you will provide technical support, help review current processes and offer advice on areas for improvement. As part of a 3-year partnership with The Pacific Community (SPC), you will primarily provide technical and procedural support for geothermal energy development, including data collection, analysis, and mapping. Through on-the-job coaching and training you will help transfer your technical skills to Division staff, enabling them to better support the development and utilisation of geothermal resources for electricity generation. This assignment offers an opportunity to make a sustainable impact on the energy landscape in Papua New Guinea. Per Order 3355, the Bureau of Land Management (BLM) is in the process of reviewing their National Environmental Policy Act (NEPA) procedures to identify areas for potential streamlining. The National Renewable Energy Laboratory (NREL) has been contracted by BLM to assist in collecting geothermal resource confirmation information that would help inform this process. Over the past several months, NREL has interviewed and collected information from technical and NEPA experts and is now inviting the geothermal community to review and provide input on this information. The workshop is open to the public and free of charge; light refreshments will be provided. For more information, please contact Katherine.Young@NREL.gov. Scientists, practitioners, representatives of government institutions and local governments, entrepreneurs, investors, service and consulting services, PhD students and students as well as other people interested in geothermal energy are invited to participate in the congress. About half of the Kenyan population lives without a mains connection. To expand its power supply, the country is investing in geothermal, wind and solar technology. We spoke to Michael Andres, an energy expert at KfW Development Bank, formerly KfW Bankengruppe, about Kenya's quantum leap from emergency power diesel generators to a geothermal power plant. What benefits does geothermal energy offer when compared to other energy resources? Geothermal energy is not only a renewable and nearly carbon-neutral technology; it is also largely independent of factors like the seasons and climate. Expansion of geothermal energy exploitation is also an important element of Kenya’s adjustment to climate change, as it reduces dependency on hydropower. As winter temperatures plummet in the Northern hemisphere, renewable heat is increasingly being used to provide heat for warmth and comfort. Yet it has a long way to go to catch up with fossil fuels, which currently provide more than three-quarters of heat production globally, resulting in significant CO2 emissions and in some cases adding to local air pollution. Renewable heat options, including bioenergy, solar thermal and geothermal are significantly more sustainable options then fossil fuels, yet they encounter multiple economic and non-economic barriers. While many countries are focusing policies on renewable electricity, renewable heat is getting much less attention. The environmental impact of geothermal energy has recently been a topic of debate in the European Parliament, raised by Italian MEPs. Now, a scientific paper published by Manzella et al, analyses the issue more in depth and provides an assessment of the environmental impact of geothermal in Tuscany and the regulatory background. It concludes that “partial or incorrectly provided information represents a serious threat to geothermal development”. The evidence brought forward was related to the Italian case of Mount Amiata, a volcanic area rich in CO2 naturally degassing from soil located 46 miles south-east of Larderello in Tuscany, and mined for centuries in search of mercury. The facts that were used to present this case study as definite proof of environmental impact caused by geothermal energy development were, however, widely incorrect. The paper “Environmental and social aspects of geothermal energy in Italy”, will be published in March 2018 in Geothermics, provides in fact a comprehensive description of the Italian case, analyzing the effects of geothermal development on air, water, and soil, and investigating potential disturbance from noise, subsidence, and seismicity, as well as the visual impact on the landscape. 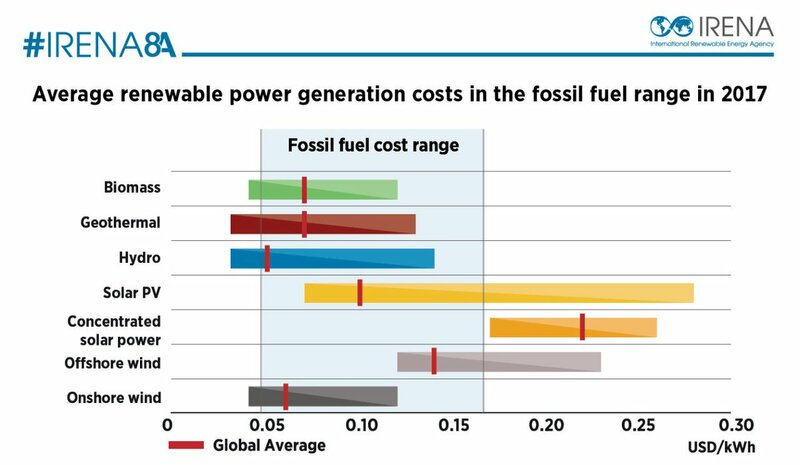 Comparisons of fix and variable costs for converting different forms of primary into electric energy performed by national and international agencies as well as by a major German electrical utility consented in concluding: geothermal electricity produced from natural steam or permeable hot water reservoirs is among the cheapest renewable forms of electricity. However, in years to come, geothermal electricity may find itself restricted to the limited number of regions worldwide which feature these particularly favorable reservoirs. This would exclude most of the continental land mass of the earth which is hot but lacks natural steam or hot water reservoirs. This is due to the current lack of proven technology for engineering man-made geothermal reservoirs where natural ones do not exist. At the same time, proven technologies for generating wind and solar electricity are readily available. This may turn out to be a serious competitive disadvantage for geothermal energy as fossil primary energies are being replaced by renewables. Therefore, dedicated and proactive funding of geothermal technology development is required at much larger scale than previously for making geothermal electricity competitively available almost everywhere. 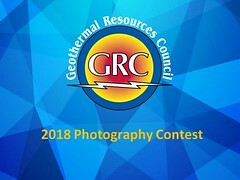 The Geothermal Resources Council (GRC) is a non-profit corporation comprised of over 1,500 members from around the world. It was established primarily to advance geothermal development through education, outreach and dissemination of research. Geothermie Taufkirchen GmbH & Co. KG, a company of Geysir Europe GmbH, in which the drilling technology and geothermal energy specialist Daldrup & Söhne AG holds a 75.01 percent stake, has reached an agreement with Axpo Power AG, Baden, Switzerland, under a share purchase agreement to acquire a 35% stake in the project company of the geothermal power plant GeoEnergie Taufkirchen GmbH & Co. KG in Taufkirchen, Germany with retroactive effect from 30th June 2017. 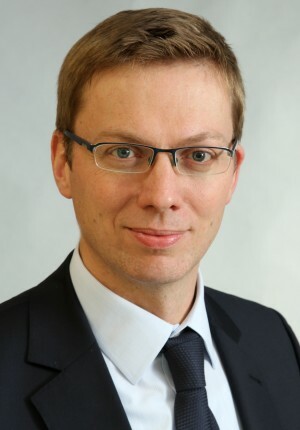 If the Taufkirchen power plant is operated successfully, the management board expects that the geothermal power plant will contribute significantly to the group's earnings in line with its strategy for the coming years. The regular host city for the GRC Annual Meeting & Expo could build a swimming pool complex heated by the same geothermal resource as the Peppermill Resort Spa Hotel. Reno's long wait for an aquatic center may be coming to an end. Wednesday the Reno city council voted to move ahead in partnership with a citizen's group, Sierra Nevada Community Aquatics," to raise funding to build and operate a $15-to-20 million dollar facility on the site of the old Moana pool. Reno Parks Director Andy Bass told the council the group has identified sources for a major portion of the construction costs, but that funding is dependent upon a commitment from the city to build and operate what will be known as the Moana Springs Aquatic Center. As proposed, it would include not only a competition sized pool, but a fitness center, an outdoor family water park area and hot springs. The Moana site sits on an active geothermal spring and historically hosted mineral baths. Yesterday we reported on the latest installment of the US Department of Energy (DOE) Quadrennial Energy Review. Today we include some particular information about geothermal energy from that review which gives insight into how the DOE views the industry. 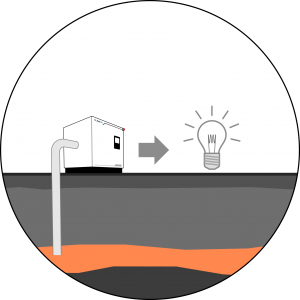 Geothermal generators are baseload plants capable of providing valuable services to the grid, such as generation flexibility. Prior to 1980, geothermal generation remained below 5 TWh annually. Between 1980 and 1989, generation tripled to 15 TWh as new facilities came online. Much of the early growth in geothermal power was driven by Public Utility Regulatory Policies Act incentives, although this driver has declined over time as the avoided costs of utility generation have fallen. As of 2015, geothermal power continues to generate roughly 15 TWh of electricity annually, or roughly 0.4 percent of total U.S. electricity generation. development, scarcity of power purchase agreement opportunities, or need for transmission infrastructure. Current ancillary service compensation models in areas with the most geothermal development do not provide sufficient revenue to warrant the increased operational and control retrofitting expenses. 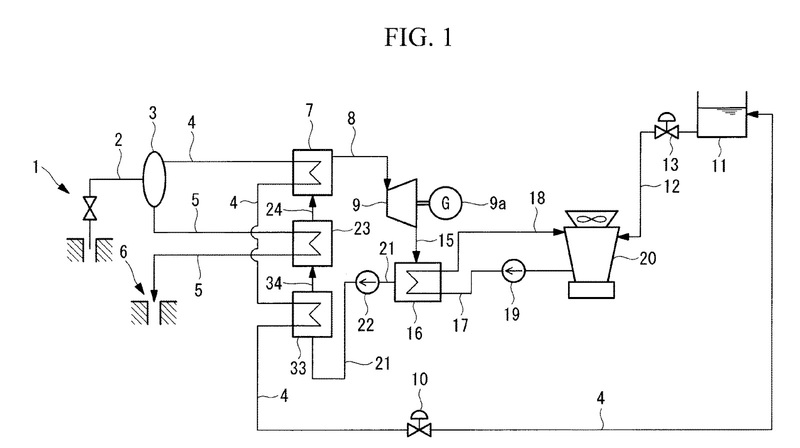 If appropriately valued, the services a geothermal plant can provide include regulation, load following, spinning reserves, nonspinning reserve, and replacement or supplemental reserve. A geothermal conference will be held in Fællessalen in Christiansborg focusing on wishes for the forthcoming energy agreement and overcoming concrete barriers to geothermal energy becoming a part of the green energy supply. The target group for the conference is parliamentarians with an interest in energy supply, local politicians, utilities, and other organizations. U.S. Geothermal Inc. announced today that it has entered into a definitive merger agreement under which a wholly owned subsidiary of Ormat Technologies, Inc. will acquire the company for $5.45 per share in an all cash transaction. The agreement, which has been unanimously approved by both companies' Boards of Directors, represents a premium of approximately 28.5% to the prior day closing stock price on January 23rd, 2018. "We are proud that Ormat, the industry leader in geothermal development, recognized our company's value and have confidence in their ability to successfully develop the US Geothermal asset base," said Doug Glaspey, CEO of US Geothermal. "This transaction provides compelling value to our shareholders and is a testament to the hard work and efforts of our talented team members." "US Geothermal has developed a high-quality portfolio of geothermal assets," said Isaac Angel, CEO of Ormat Technologies. "As part of Ormat, we will leverage our core capabilities to help improve generation and enhance efficiency of these assets while also working to advance expansion opportunities. With this transaction, we demonstrate again the implementation of our business strategy to grow our business with accretive M&A transactions." Regarding the status of Well 3 currently under development, the UK Department for International Development (DFID)’s Infrastructure Representative on Montserrat gave assurances that drilling works for continuing Well 3, also known as Mon 3 will recommence in no more than a few weeks time, in order to complete drilling and testing of the sustainable yield from this well. The drilling work at Well 3 has been stalled for several months due to some internal mud collapse inside the well during the early drilling stages. The recommencement of drilling in a few weeks is seen as a positive step, and significantly boosts the Early Market Engagement process. 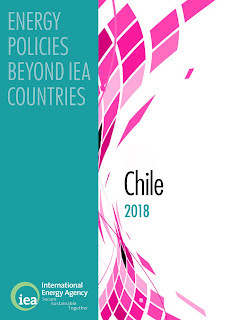 The Chilean government encourages electricity generation from renewable energy in different market segments through several policies and measures, including improving the framework for geothermal exploration and exploitation. In 2013-14, the government obtained USD 53 million from the "Clean Technology Fund" (CTF), of which USD 50 million were designated to the Risk Mitigation Programme in geothermal exploration (MiRiG), implemented by IADB and USD 3 million to a technical assistance programme, implemented by the World Bank. In 2015, the government and CTF agreed to add another USD 25 million to MiRiG. The World Bank contributed an additional USD 500 000 to the technical assistance project, from the Bank's Energy Sector Management Assistance Program (ESMAP). The MiRiG is being implemented with the Cerro Pabellon project as the first beneficiary (it belongs to the Empresa Geotermica del Norte S.A., a company created by Enel Green Power and the National Oil Company, ENAP). Two other projects, Mariposas (EDC) and Licancura III (Transmark), were also selected. Technical documentation and/or regulatory support. A technological visit to Nicaragua under the framework of the Indigenous and Tribal Peoples Convention No. 169 and the consultation process for geothermal exploitation applications. Call for a study to assess how to co-ordinate the Chilean geothermal industry to contract drilling equipment and services efficiently. Creation of the Geothermal Energy Working Table, a public–private entity that aims to analyse the systemic impact of geothermal energy development on the interconnected electrical systems, as well as potential benefits and co-benefits in the short and long term, and the tools needed for its development. The European Investment Bank (EIB) has offered a Sh19.5 billion loan to a firm partly owned by Centum Investments for generating geothermal electricity. The EIB on Tuesday said that the €155 million (Sh19.5 billion) financing package to Akiira Geothermal Ltd will be finalised soon. The company started exploration in August 2015, targeting to drill up to 15 steam wells, each with an average capacity of five MW, bringing the expected installed capacity to about 75 MW. Akiira Geothermal is owned by Centum Investments in conjunction with three other non-Kenyan entities that include Ram Energy of the United States, Marine power of the USA and Frontier Investment Management. 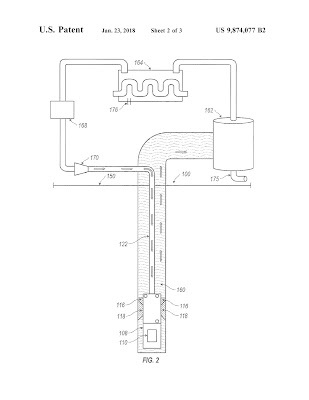 United States Patent #9,874,077 - Awarded January 23, 2018 to Altarock Energy Inc.
controlling a pressure of the pressure-controlled motor housing, wherein the pressure is between a vapor pressure of the liquid nitrogen and a venting pressure of the nitrogen gas. Chapter III “Building a Clean Electricity Future” includes discussions of different aspects of geothermal energy. On January 9, 2014, President Obama issued a Presidential Memorandum directing the Administration to conduct a Quadrennial Energy Review (QER). In comparison to ORC-systems, Climeon’s Heat Power system reaches a higher efficiency due to its unique low pressure technology and patented condensation solution, among other things. Due to the low pressure, the internal energy consumption can be decreased by 90 percent compared to traditional ORC systems. 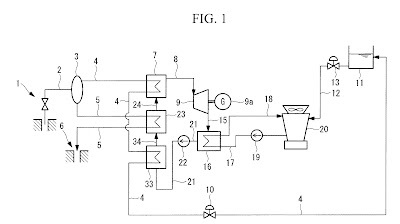 The result is a simpler solution that makes it economically viable to produce electricity from low temperature sources (below 120°C). Enel Green Power’s first geothermal project in Indonesia is in the exploration phase: it will contribute to the transformation of the national energy mix and help solve a paradox. In 2015, through a partnership with the Indonesian company PT Optima Nusantara Energy, specialised in the development of geothermal projects, we were awarded the rights for geothermal resource exploration in preparation for the construction of the 55 MW Way Ratai project, following a public tender called by the Ministry of Energy and Mineral Resources. MGX Minerals Inc. of Vancouver, Canada, has announced the appointment of Randall W. Keller as Vice President of Business Development. Mr. Keller will work alongside former California Senate Majority Leader Richard Polanco to target geothermal lithium exploration in California and other Western States that the company has identified for potential partnerships and acquisition targets to secure lithium brine feedstock and operating sites for its lithium extraction and water treatment systems. Mr. Keller is a highly accomplished executive with over 35 years of global experience in the energy sector. He is formerly the Director of Business Development, Transmission and Land Assets, for Berkshire Hathaway Energy Renewables, a holding company controlled by Berkshire Hathaway Inc. At Berkshire, Mr. Keller was responsible for the development of large-scale renewable energy projects - including geothermal - within the Berkshire holdings platform in southern California and managed a large team of engineers, geologists, chemists and scientists, overseeing budgets in excess of $1 billion. A un año de la entrada en operación comercial de la Planta Geotérmica Las Pailas II, en Curubandé de Liberia, y de acuerdo al programa de construcción, el Instituto Costarricense de Electricidad (ICE) finalizó la perforación de los 21 pozos que garantizan la disponibilidad del recurso geotérmico que la alimentará. (From Google translation) One year after the start of commercial operation of the Las Pailas II Geothermal Plant, in Curubandé de Liberia, and according to the construction program, the Costa Rican Electricity Institute (ICE) has finished drilling of the 21 wells to guarantee the availability of the geothermal resource. Want to spend a month in the Canaries working alongside the experts at the Canary Island Volcanology Institute (INVOLCAN)? There are different programmes to choose from, covering a range of disciplines. Most of them are based in Tenerife, but some of them are split between a week of lab work in Tenerife and three weeks on another island (Lanzarote, El Hierro or La Palma), whereas others involve 4 weeks in La Palma (although you still need to fly to and from Tenerife for introductory lectures and graduation and we transfer you to and from the neighbouring island). They will run from June to September. The deadline for applications is 3 March 2018. Successful candidates will be contacted by 17 March 2018. Open to undergraduates and recent graduates from relevant fields of study of any nationality. This is a fantastic opportunity to learn a range of skills, attend exclusive lectures from leading experts and gain experience working alongside seasoned professionals out in the field and in the lab on at most a 2:1 basis. All teaching is in English, and there will be a minimum of 180 contact hours a month with professional scientists as part of the programme. Two Geothermal Development Company (GDC) projects have been identified as critical pillars which will catapult the ambitious Big Four Economic Agenda recently launched by H.E President Uhuru Kenyatta. According to GDC Board of Directors, the green energy which will be churned out from Menengai and Baringo-Silali geothermal projects, will be key indicators in government’s plans for the four pillars; manufacturing, affordable housing, universal healthcare and food security. Speaking during a tour of Menengai and Baringo- Silali projects last week, Chairman of the GDC Board of Directors Mr. Gershom Otachi, accompanied by other members of the Board and GDC Managing Director & CEO Eng. Johnson P. Ole Nchoe, said that the Board will fully support the development and ensure the projects succeed. Earlier this month, Southern Methodist University (SMU) hosted its 9th annual international “Power Plays” conference from January 10th-11th in Dallas, Texas. The conference was centered on recent advances in the oil and gas industry and how these promote further production of geothermal energy through the capture of waste heat and fluid, among other methods. It was planned and executed on behalf of SMU’s renowned Geothermal Lab, headed by Dr. Maria Richards, president of the Geothermal Resources Council. The Energy Department is set to declare a geothermal project with a capacity of over 100 megawatts as the first energy project of national significance under Executive Order 30. “I’m ready to declare one company as a project of national significance geothermal... Local firm, I don’t know who are behind. It’s a Filipino corporation,” Energy Secretary Alfonso Cusi said over the weekend. EO 30 tasked the council to streamline the regulatory procedures affecting energy projects. Cusi said he was supposed to sign the the project of national significance last week but had to ensure other agencies were aligned. He declined to give further details on the project. He said the project was selected because of the difficulty in developing indigenous power development projects. A $26-million geothermal pool has opened alongside the beach in the Perth suburb of Scarborough, the first in the state to be given a six-star green rating for the efficiency of its design. The pool, which maintains a balmy 26-28 degrees Celsius, taps into the Yarragadee aquifer which is naturally heated, so it does not require conventional gas boilers. The eco-friendly system offsets about 1,800 tonnes of carbon dioxide per year.